Over the past week, Bing has introduced two new features to its search – one which appears to follow in the footsteps of Google and another which goes down its own road. 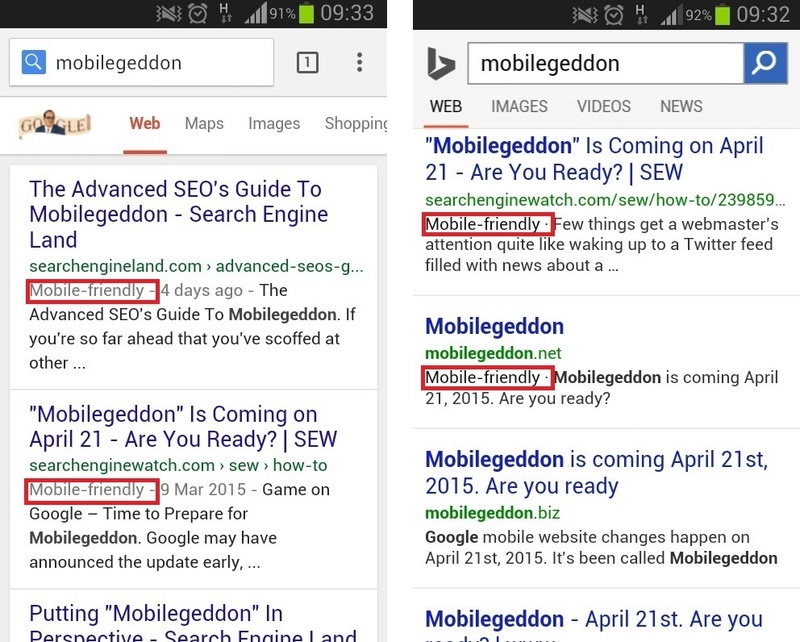 Bing has begun to label mobile-friendly websites in mobile search results, just like Google did back in November. At that time, Google announced that mobile-friendliness would soon become a hugely important ranking factor. Google is set to implement its mobile-friendly algorithm a week today on April 21st – an event which the SEO world awaits with bated breath. Its impact on future search results is predicted to be so huge that it has been dramatically dubbed "Mobilegeddon". Below are two screenshots of Google and Bing mobile SERPs – taken this morning – which show the virtually identical mobile-friendly labelling on both sites. Last week, Bing unveiled its updated image search, which boasts a number of new features – such as where to buy products, related images, collections of Pinterest images (presented in a roll format), and all the webpages which contain the image. So far this update has been made available Bing Beta users on PCs, tablets and smartphones, and is expected to be rolled out on Bing's mobile apps by the end of the month. 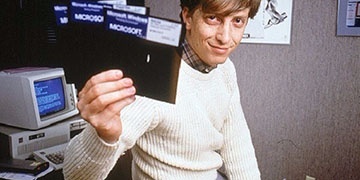 The new features aim to provide users with more useful and insightful information than was previously presented on Bing image SERPs, and the resulting user experience is unlike those of rival search engines such as Google and Yahoo. For more search news stories, follow @theEword on Twitter.